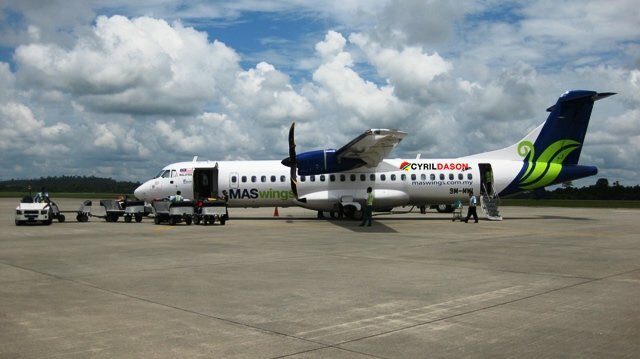 Both Malaysia Airlines(MAS) and sister airline MASwings will cease using their town office in Sibu beginning this Monday. Those wanting to deal with MAS and MASwings are instead requested to head on to the airport office which is located at the newly renovated Sibu Airport. To cater for the expected increase of customers, the airport office will operate with longer periods which is from 6am to 8.30pm on a daily which includes weekends and public holidays. The address of MASwings new office is at Lapangan Terbang Sibu, KM27, Jalan Durin, 96000 Sibu. The airline’s contact numbers are as follows: administration office (084-326 861), ticketing office (084-321 055), accounts department (084-314 407), sales office (084-321 515) and common fax (084-319 797). Details are also available on the MASwings website at www.maswings.com.my. Photo of MASwings plane above by Cyril Dason.